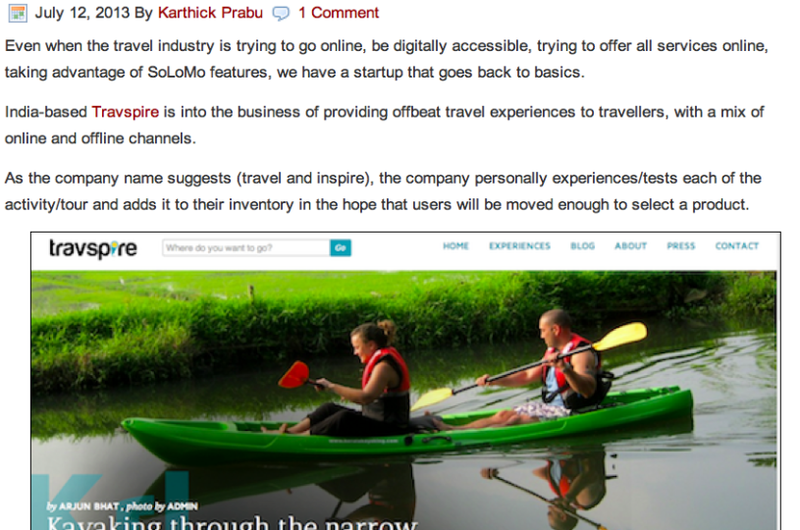 Even when the travel industry is trying to go online, be digitally accessible, trying to offer all services online, taking advantage of SoLoMo features, we have a startup that goes back to basics. India-based Travspire is into the business of providing offbeat travel experiences to travellers, with a mix of online and offline channels. As the company name suggests (travel and inspire), the company personally experiences/tests each of the activity/tour and adds it to their inventory in the hope that users will be moved enough to select a product.